Keep your first sentence short. Use the word “you” at least once. Dedicate 1-2 sentences to articulating what the article covers. Dedicate 1-2 sentences to explaining why the article is important. Refer to a concern or problem your readers might have. But ... be careful telling stories. There's a lot of material out there about writing great headlines. 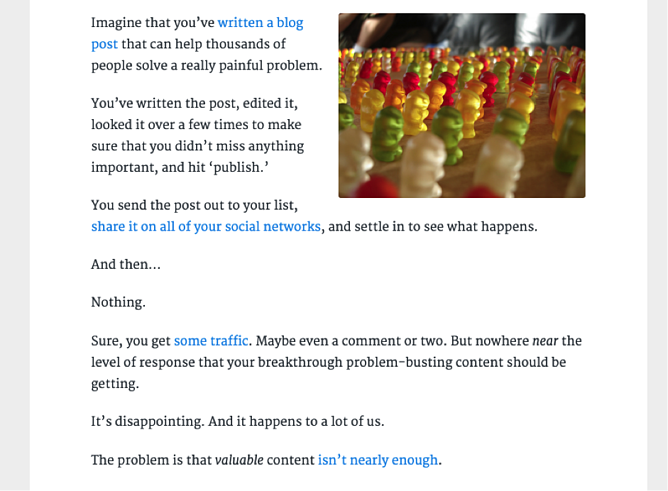 Hey, getting someone to click on your article is a critical part of your blogging strategy. But what about writing introductions? 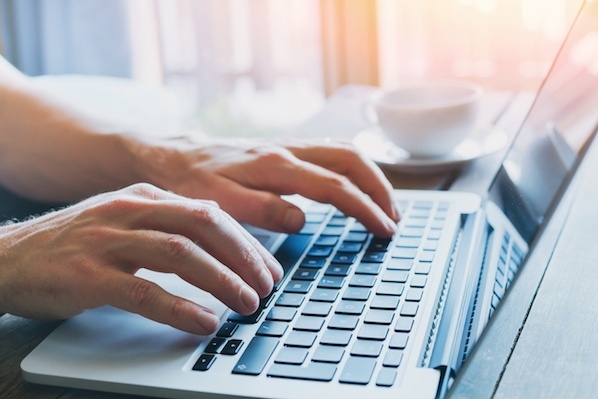 Compelling readers to actually read the article is an art form in and of itself -- and if you don't do it well, then you're denying yourself potential promoters, subscribers, leads, and even paying customers. Take a look at the following graph from Schwartz to see what I mean. It shows where people stopped scrolling in an experiment covering many articles across the web. 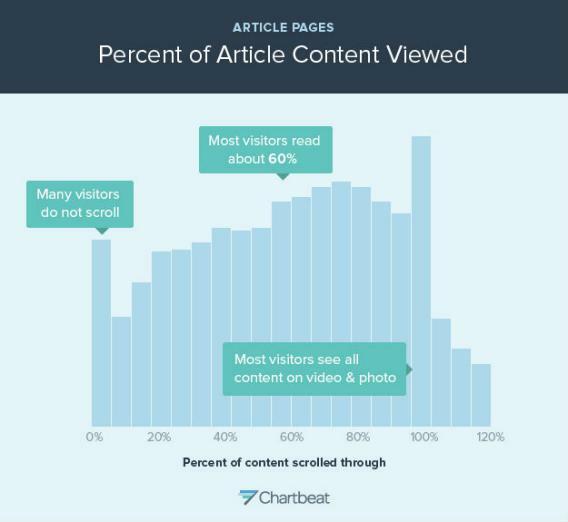 Every time someone landed on an article, Chartbeat analyzed that visitor's behavior on a second-by-second basis, including which portion of the page the person was currently viewing. Each bar represents the share of readers who got to a particular depth in the article. Of everyone who landed on an article, 10% never scroll down. So how do you get more people to scroll? One way is by writing a powerful, compelling introduction. So, let’s see about making it better now, shall we? In this post, I'll share with you how to write powerful introductions that turn casual browsers into readers. Article introductions matter, and here’s how to make them count. 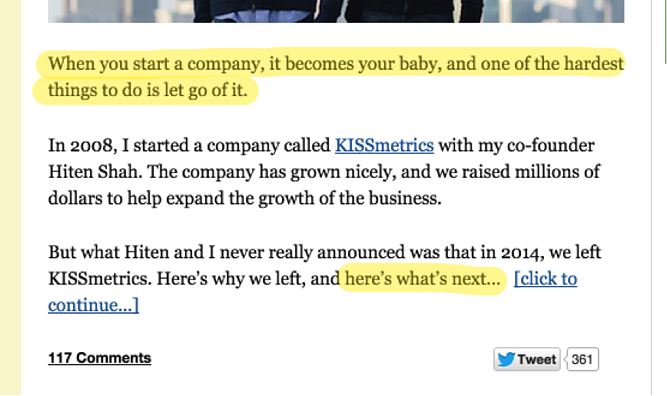 1) Keep your first sentence short. I’m a big fan of short sentences. I love them because people can understand them easily. There's an insane amount of value in short sentences that are readable, digestible, and punchy. But often, writers get so caught up in the stress of their introduction that they come out with long, garbled sentences. The problem with long, garbled sentences is that it makes readers work hard. Readers don't want to work hard to understand your article -- especially at the beginning. Lead off your introduction with a bite-sized sentence or two. You've probably heard advice like "create a hook" and "grab the reader's attention." But what kind of stuff actually grabs someone's attention? I can think of a lot of things, actually, but they probably wouldn’t be appropriate for an introduction. What these oft-repeated phrases boil down to is this: say something unusual. Something unexpected, even. If your very first sentence is odd enough to make people want to read the next one, then you've done a good job. If you start off with something boring or expected, you might lose potential readers. 3) Don’t repeat the title. Assume that the reader already read the title. You don’t need to write it over again. Instead, take advantage of your chance to reinforce that title and to set the stage for the remainder of the article. 4) Keep the introduction brief. There is no definitive answer for how long an introduction should be. But, like the Slate study told us, readers have short attention spans. They're impatient to get to the meat of the article. Your readers are looking for information, so don't bury it deep in your article. Cut to the chase. 5) Use the word “you” at least once. The word “you” is a powerful word. It tells the reader that you, the author, are writing the article with them in mind. You empathize with them, you care about them, and you want your piece to resonate with them. It's a simple trick that establishes a crucial connection with your reader. 6) Dedicate 1-2 sentences to articulating what the article covers. Your English teacher would call this the "thesis." This is where you tell the reader what the article is about. What will you be discussing, in order? What will the reader learn? Lay it out to help set the reader's expectations and help her decide whether she wants to read the article in full, scroll to different parts, or not read it at all. 7) Dedicate 1-2 sentences to explaining why the article is important. It may be obvious to you why the content of your article is important to your readers, but it may not be obvious to them. Let them know loud and clear why it's important for them to know the information you cover in your article. You might compel readers who would otherwise have bounced to keep on reading. 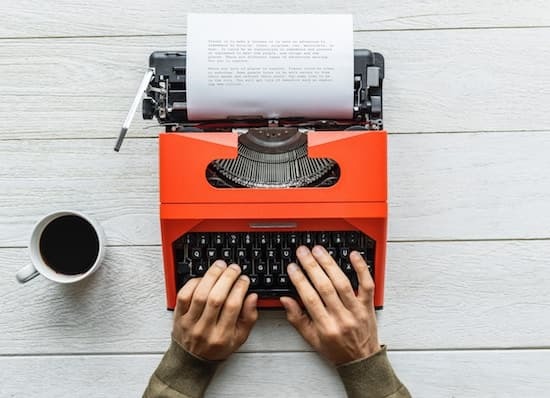 If you don't [write introductions] well, then you're denying yourself potential promoters, subscribers, leads, and even paying customers. 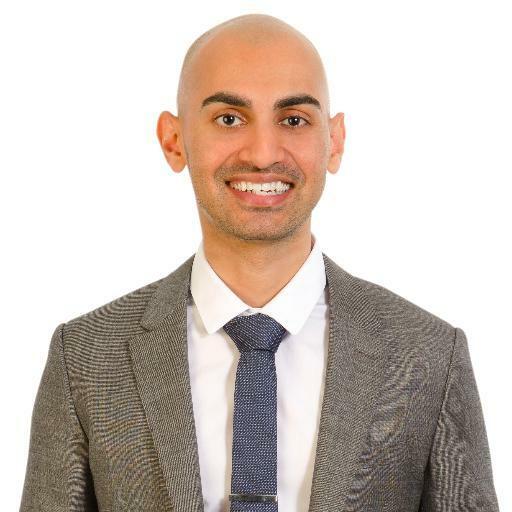 My goal here was to connect the topic of blog post introductions to the broader issues of readers, customers, and revenue. 8) Refer to a concern or problem your readers might have. If you can pull a pain point into the introduction, even better. Everyone in every field has their set of problems. You should have some listed already from when you created your buyer personas. Communicate your awareness of those problems in your introduction and you're more likely to gain a sympathetic reader. People want to solve their problems, and articles that explain how to do this will help you earn readership. 9) But ... be careful telling stories. A lot of people will tell you that you need to write a story in the introduction. Stories can work, as in the example above, but there are good and bad ways to tell stories in your intro. Do use storytelling to spark the reader's curiosity and empathize with her. But don't get carried away and write a long-winded story that loses readers along the way. Remember the tip about keeping introductions short? That still applies when you're telling a story. Notice that I highlighted the "empathy" section -- the first sentence. Here, I helped form a connection with my readers. Then, I told a short story about my own experience. After that, I finished the introduction with "what's next." 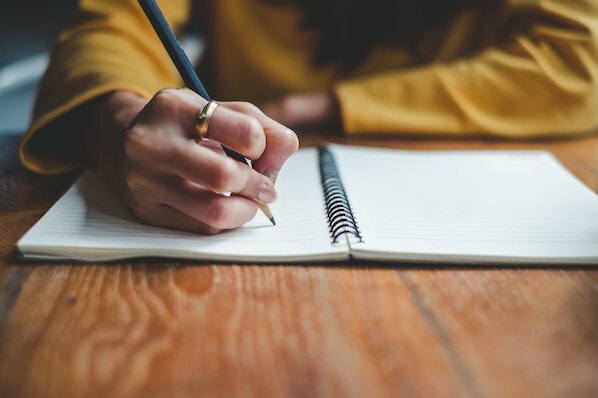 If you do begin your article with a story, here's a tip: Don't reveal the conclusion until the reader is deeper into the article, or even until the very end. The next time you write an article introduction, think about what kind of introduction would make you want to read the article. Would a long, wordy first sentence make you want to read more? No. You might find yourself thinking, Yikes, is this what the rest of the article's going to be like? and bounce from the page. What about a story or question that doesn't really apply to you? No, probably not. To compel you to read past the introduction of an article, you want to read something unique, fresh, and engaging. You want to hear about yourself and your problems. You want to be put in a position where the remainder of the article is a must-read experience that will help you solve those problems and change your life. Introductions are hard, and writing effective ones take time and practice. Sometimes, you might find yourself having to re-write them several times before you're satisfied. Remember, it's all worth it if it means keeping the attention of a few more of your readers. What are your tips for writing great introductions?